Roper Whitney is your US distributor for new Eckold sheet metal forming machines. Includes sheet metal forming, wheeling, and planishing machines. Eckold universal machines for chipless coldforming of sheet metal and profile sections convince their users by their performance in the forming or finishing work. 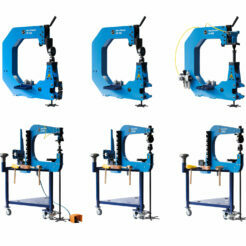 Made in Switzerland, Eckold machines are precise, ingeniously simple and extremely durable. Since the founding of the company in 1957 the name Eckold is representative for forming of sheet metal and profiles. 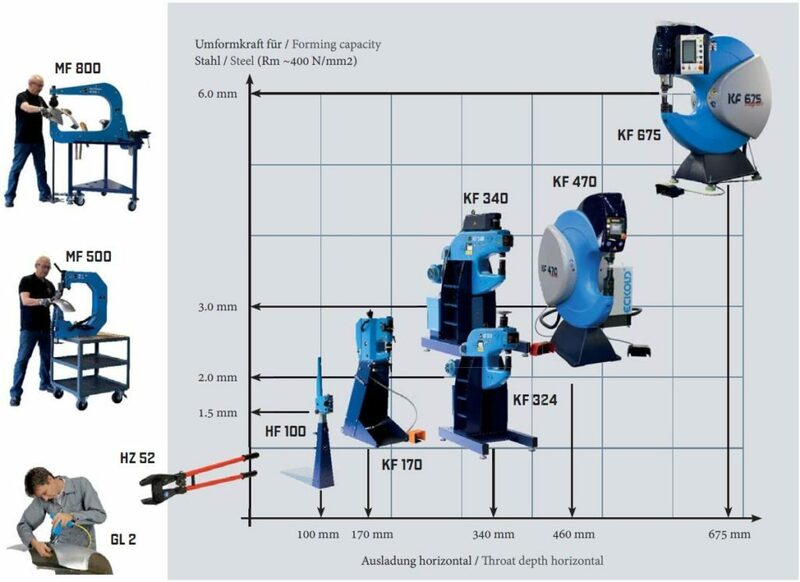 Eckold Handformers manual sheet metal forming machines replace laborious hammer work when forming metal. Both hand powered and pneumatic options are available. 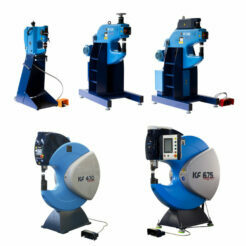 Eckold Multiformers are a complete workshop in a single machine. 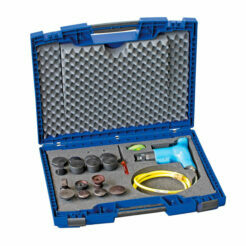 Ideal for English wheeling, planishing, shrinking & stretching and come in multiple kit configurations. The combo of different forming operations in just one device saves space and increases efficiency thus are an industry favorite. 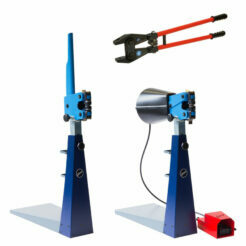 New Eckold GL2 Hammers for finishing sheet metal are the perfect tools to give the best possible surface finish. They're simple and high quality thus the choice for industry leaders.